The smaller and fewer the incisions during surgery, the faster you’ll be back on your feet. However, small incisions mean less room for your surgeon to see and manipulate instruments. 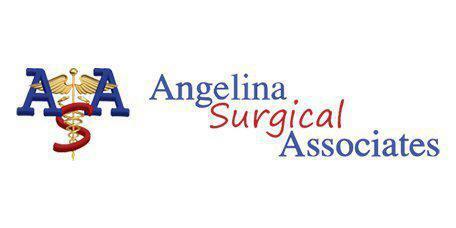 The doctors of Angelina Surgical Associates in Lufkin, Texas use the da Vinci® surgical system to augment minimally invasive procedures. Call today to learn more about how the da Vinci system can improve the outcomes of your upcoming surgery. Laparoscopic surgery procedures greatly reduce the impact on your body when you’re under the knife, but do add some challenges for your surgeon. These have been avoided through the use of small video cameras and special instruments that fit through tiny incisions. The da Vinci system takes this basis and adds another layer of assistance for the surgeon. A magnifying 3D high-definition video system delivers an enhanced view of the surgical area through a small incision, just as laparoscopy does. The da Vinci system also uses special instruments, but what sets this system apart is that these instruments are on the end of robotic arms. The “wrists” on these arms provide a range of motion, precision, and dexterity that manually controlled instruments cannot. The da Vinci system translates movements of the surgeon’s hands into smaller, more precise movements of the robotic arms. This level of robotic assistance adds many advantages over other surgical procedures. What advantages does the da Vinci system offer? Like laparoscopy, da Vinci surgeries have fast recovery time since there’s little damage to abdominal tissue surrounding the surgical site. The dexterity of the da Vinci arms may mean fewer incisions over other laparoscopic techniques, as each arm has greater flexibility compared with manually controlled instruments. Robotic surgical procedures have a lower risk of infection when compared with other surgical methods, such as open surgery. Complications arising from surgical technique are also reduced, meaning that not only are your hospital stay and recovery time shorter but your chances for trouble-free recovery are greater. What types of surgery can the da Vinci system perform? As specialists in bariatric and colorectal procedures, our surgeons typically use the da Vinci system when performing surgeries such as sleeve gastrectomy, colectomy, and rectal resection, and it’s an option for many other procedures.